Gionee X1 and X1s are affordable smartphones for users who desire features such as 4G LTE support, decent cameras and a fingerprint scanner. As one can easily guess, the X1s variant brings better specs to the table, including a faster processor and higher RAM. These phones do not digress from what you’d expect of a budget device in terms of build quality. While they are not shabby, they are nowhere near the most elegant. They are just there. A measurement of 8.8 mm puts them somewhat on the thicker side. But then, you may not really complain, knowing how much you are paying. Both the Gionee X1 and X1s come with HD (720 x 1,280 pixel) displays. While the standard variant rocks a 5-inch IPS panel, the latter sports a 5.2-incher. This means the X1 should offer slightly sharper images. The Gionee X1s looks to provide better image quality. This is because it features a 13MP rear and 16MP front camera combo. It is safe to assume that the target segment for this one is that of selfie enthusiasts. In its own case, the X1 offers 8MP sensors on both its front and back. It should perform well for an entry-level phone, judging by this setup. Both devices come with quad-core MediaTek processors. But you can expect better performance from the Gionee X1s in that its CPU runs at 1.5 GHz and it features 3GB RAM. The regular model packs a 1.3GHz chip and 2GB RAM. Internal storage for the two stands at 16 GB, expandable via a dedicated microSD card slot. 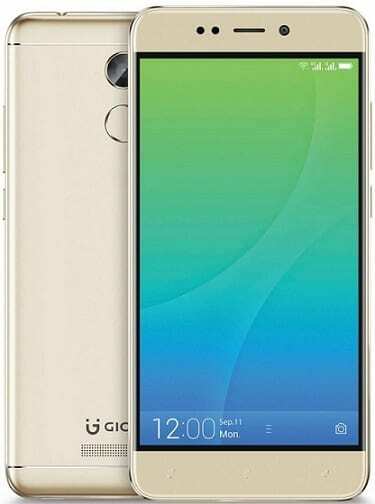 The phones run on Android 7.0 Nougat operating system, which has Gionee’s Amigo 4.0 skin on top. If you need an affordable phone you can lock with your fingerprint, these ones may not be a bad choice. You will find the scanner on the rear, below the main camera. Gionee equips the X1 with a 3,000mAh battery, while the juicer on the X1s has a bigger 4,000mAh capacity. The phones support super fast 4G LTE with Voice over LTE (VoLTE) feature. The Gionee X1 and X1s is targeted at the Indian market and is likely to sell in Nigeria, Kenya, or Ghana. The Price of the Gionee X1 in India is 8999 INR while Gionee X1s goes for 12999 INR. Gionee X1 and Gionee X1s Specs and Price was last modified: September 27th, 2017. NAIJATECHGUIDE. Hello, my name is Sebastian. I'm a tech writter from SundiataPost. Hello, my name is Sabastian. I'm a tech writter from SundiataPost.